asking if I would help him do a river cleanup on the Jordan. could plan and pull off the event himself. He did a great job. his drift boat to help out. That's a first as far as I know. help with the project. That's more than ever before. Graves Xing to the boat landing at the base of Lake Charlevoix in East Jordan. 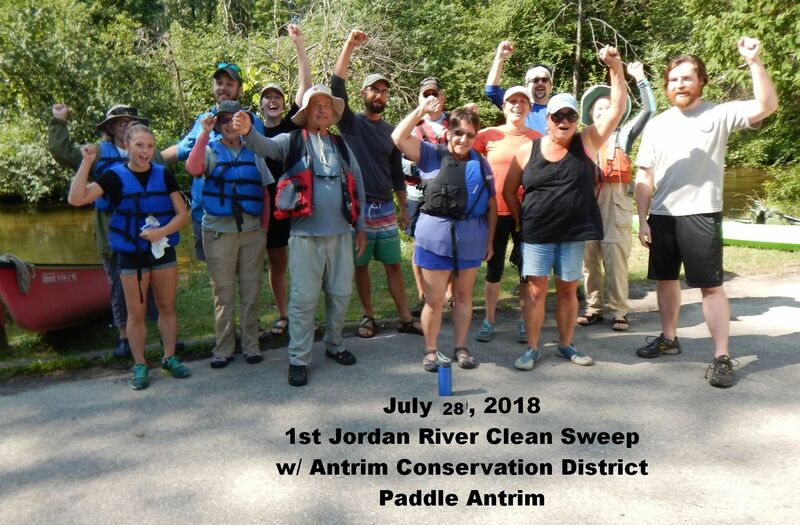 Food and gear was provided and we took a lot of trash out of the Jordan today. Great Lakes Commission Grants for the grant that made this event possible. donate to the ACD for them to use for their future cleanups and conservation work. I applaud Brian and Deana for a project well done.